Lily Lake is a great location to see a variety of wildlife in Rocky Mountain National Park. While its common to see large mammals like Moose grazing the willows circling Lily Lake, there is a wide variety of waterfowl that also calls the lake home during portions of the year. 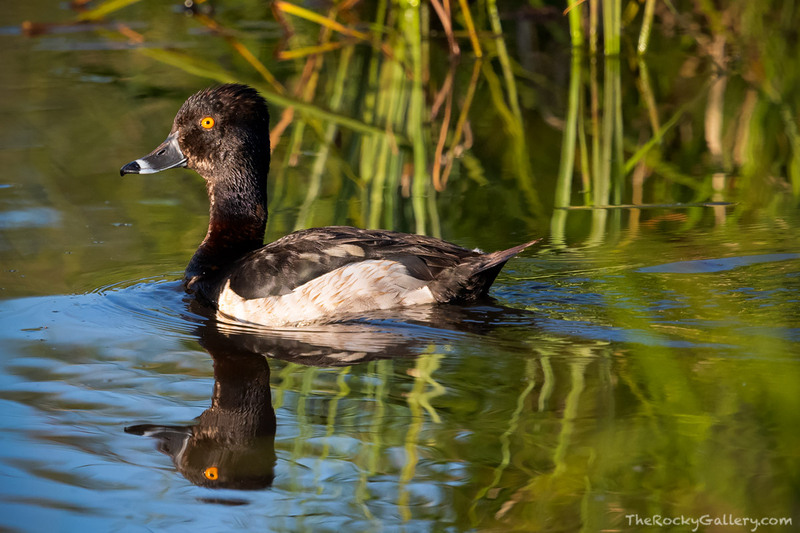 Ring-necked ducks like this male are a common visitor during the summer months to Lily Lake. Photo © copyright by Thomas Mangan.